Animals behave in specific manners when they are sick, and some of those behaviours may be adaptive responses to disease, whereas others may be a more straightforward result of dysfunction. Conversely, behaviours such as stressful social interactions may affect the normal functioning of the organism contributing—alone or in conjunction with other factors—to disease development. 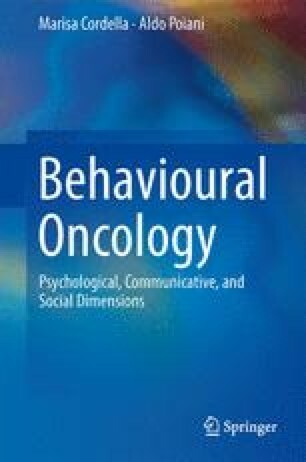 We start this chapter by reviewing the biological aspects of the interface between behaviour and disease in animals, with special reference to cancer in humans, to then explore in more detail the relationship of human cancer with pain, fatigue, sleep disorders, nausea and the various senses.